* HaTzfirah, Tenth Zionist Congress in Basel 15-22 Menachem Av 1911 - extensive coverage of the congress, including photographs of views of the congress and its participants and articles about the questions discussed. This congress was concerned with the decision to deal with subjects of culture, a decision which brought about tension between the religious and the other delegates. There was also a decision taken to unite Political Zionism and Practical Zionism into "Synthetic Zionism." 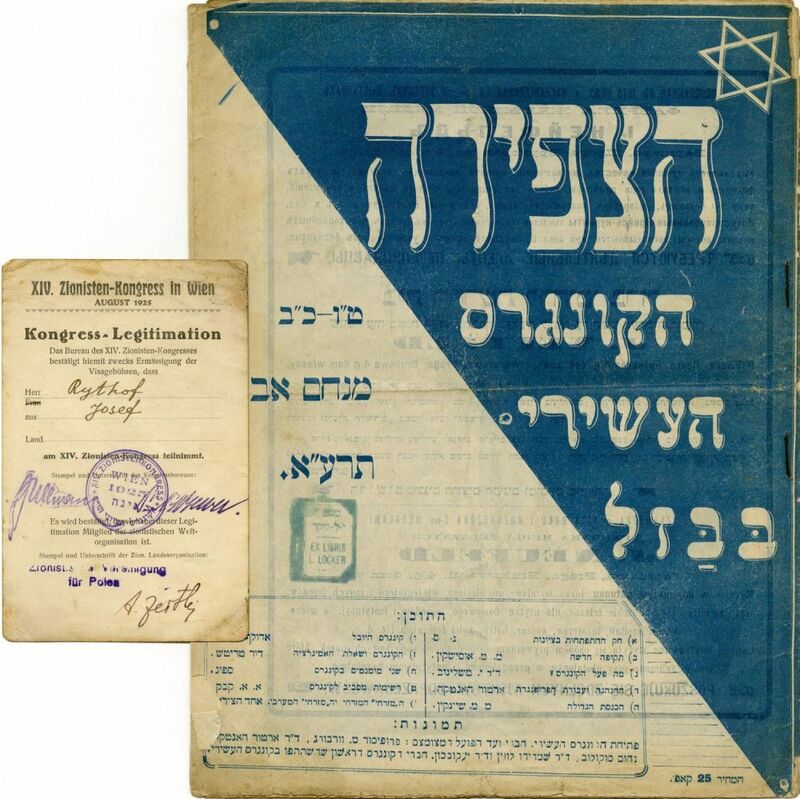 * Participant's card for the 14th Zionist Congress which took place in Basel in 1925.